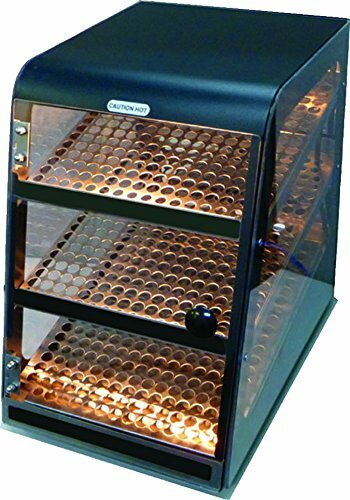 Cutting edge convection heating system circulates heated air throughout the cabinet. 12" Mini, 3 shelf heated display merchandiser. Includes menu board and flavor strip magnets. Standard package included. Compact size and fits in prime countertop locations for optimal sales. View More In Food Merchandisers. If you have any questions about this product by Creative Serving, contact us by completing and submitting the form below. If you are looking for a specif part number, please include it with your message. Adcraft Countertop Stainless Steel Heated Display, 24 x 35 1/2 x 20 3/8 inch -- 1 each.